Are you looking for a top-quality air fryer to get that deep fried taste minus all the calories and fat? Then the Big Boss oil-less fryer should be at the top of your list. Read our buying guide packed with information to help you decide if it’s the right choice for your home kitchen. 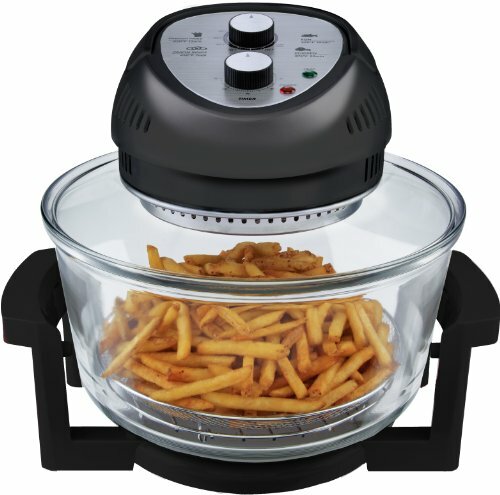 The Big Boss 1300-Watt Oil-Less Fryer is a top-quality indoor no oil fryer that is available on Amazon. 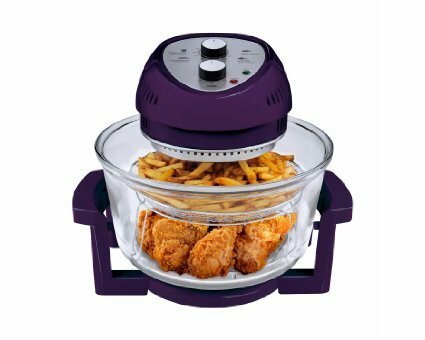 If you’re looking for an indoor appliance that will deliver deep-fried style foods, minus the oil, then look no further than this one! Foods cook up crispy on the outside and tender and moist on the inside in a short time (3x faster than a regular oven). This oil-less fryer utilizes triple cooking power, including halogen, infrared and convection heat. It’s big enough for turkeys of up to about 15 pounds, but does well with smaller things too like french fries, wings, fish, chicken breasts, vegetables, etc. And it does it all without added oil to make your foods not only delicious, but healthy as well. Learn more here: What Can You Cook in an Air Fryer? This air fryer runs on electricity and is designed for indoor use only. If you want an outside air fryer, you should check out the Char-Broil Big Easy Oil-Less Fryer. If you’re looking for an indoor fryer that can cook turkeys, other meats as well as vegetables and desserts, the Big Boss 1300-Watt Oil-Less Fryer makes a nice choice. In particular, reviewers mentioned that it produces some excellent results with bigger cuts of meat like pork or beef roasts and small-medium turkeys. Most air fryers can’t handle anything as large as this. There are some negatives reviews on Amazon, but they appear to be mostly due to unrealistic expectations. Of course the food isn’t going to taste the same as deep-fried when you don’t use oil! However, it’s certainly crispier and juicier than cooking something in the oven. But, what this machine can do is turn out food that is crispy on the outside and moist on the inside with a minimal amount of extra oil added. It would be helpful to think of this machine as more of a convection oven than a deep-fryer. 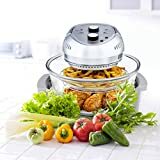 What are your thoughts about this oil-less fryer? Leave a comment below and let us know what you think. « Char-Broil Big Easy No Oil Turkey Fryer Review: The Right One for You?